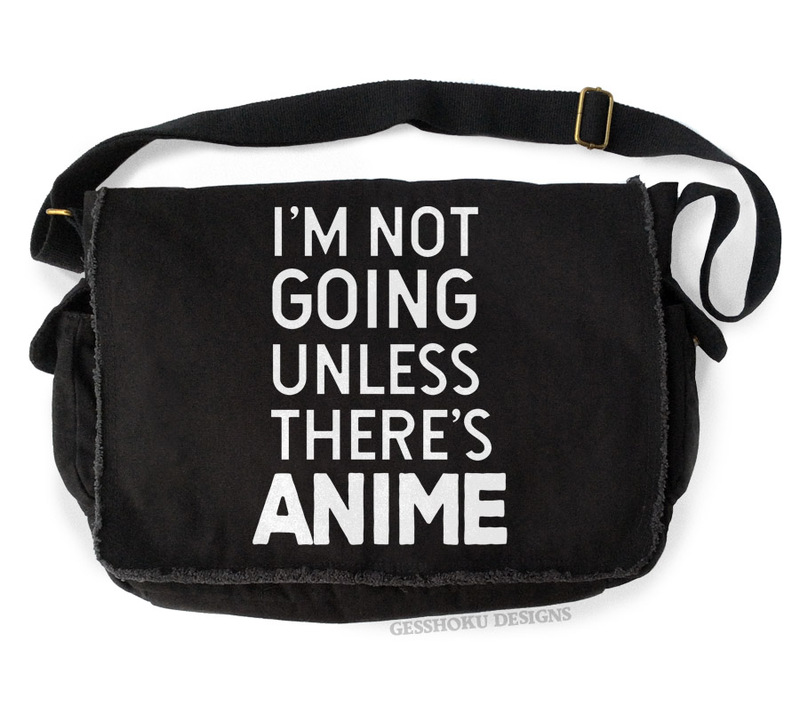 Always check if there's going to be anime. 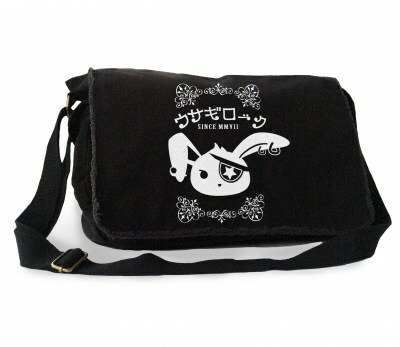 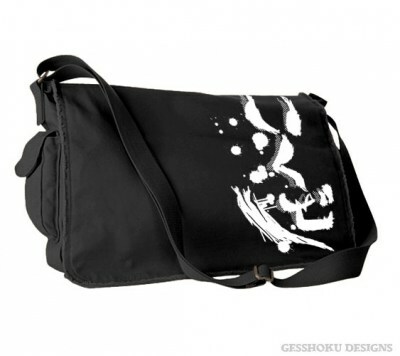 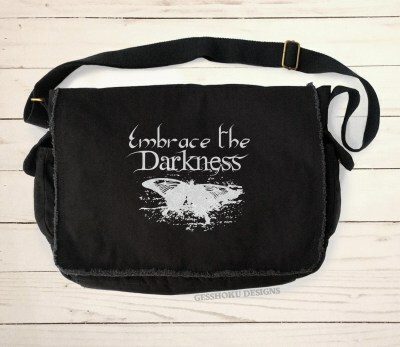 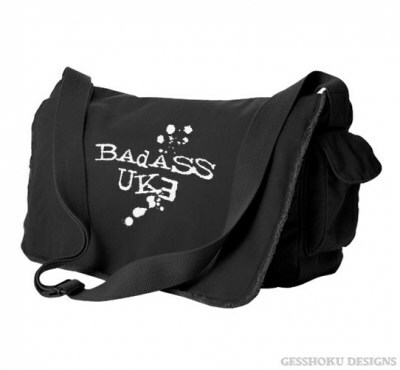 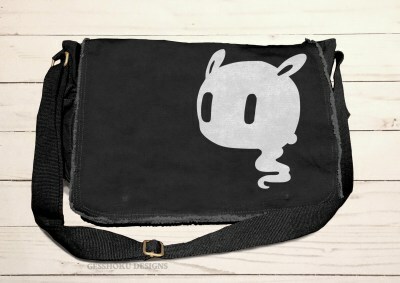 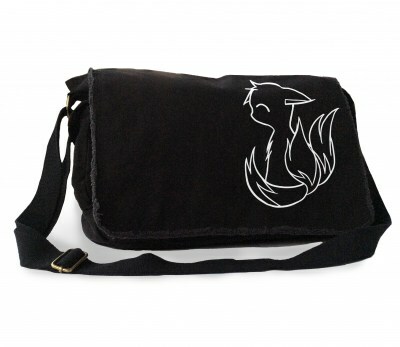 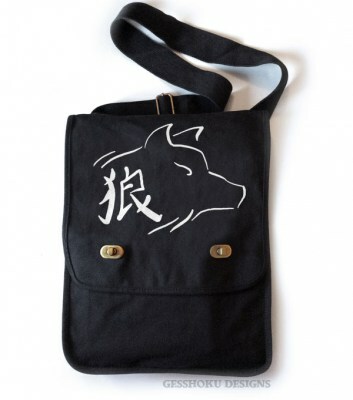 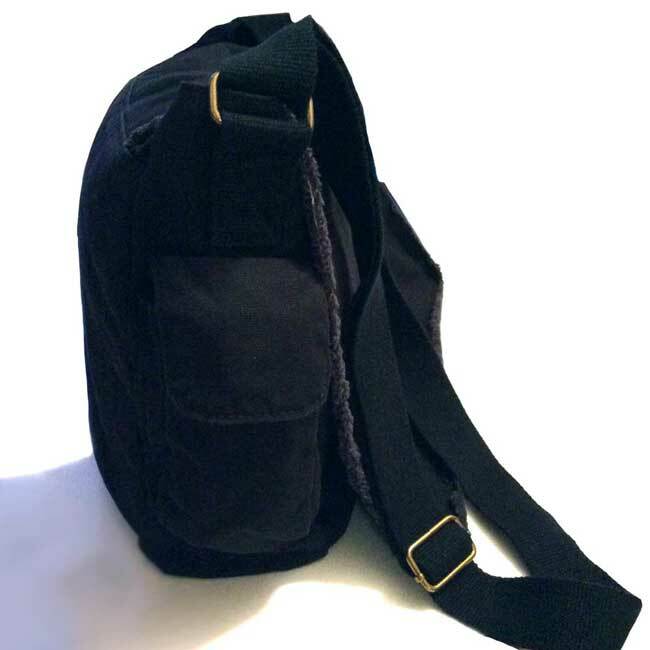 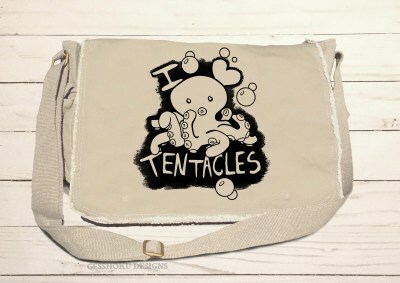 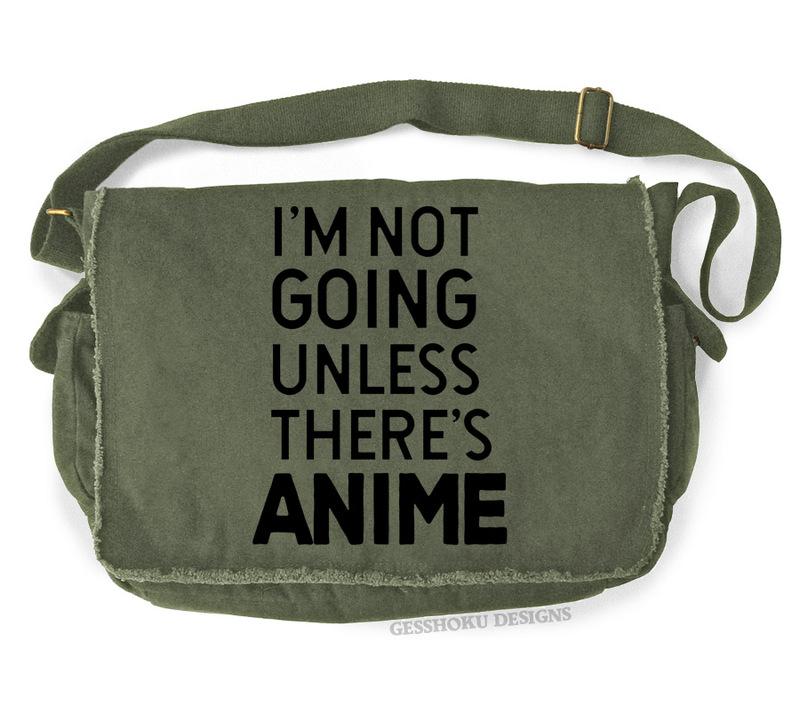 And if not, you can always carry an emergency stash in this extra-big messenger bag. 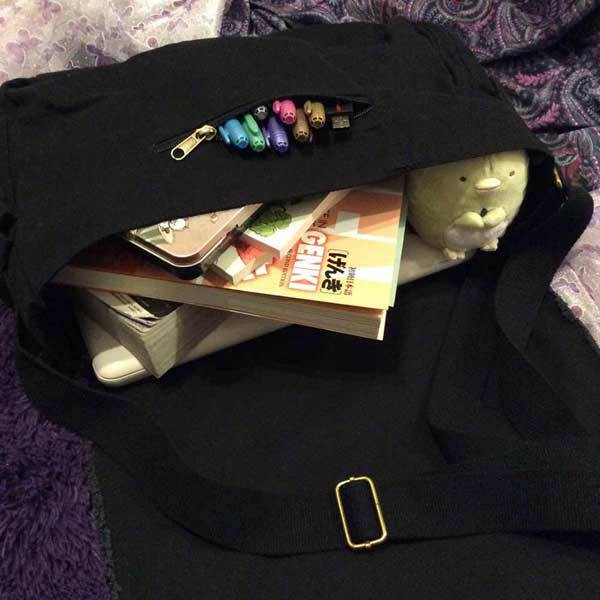 Our durable canvas bag is a faithful companion, its roomy interior up for the challenge of all the books, devices, and accessories you need every day. 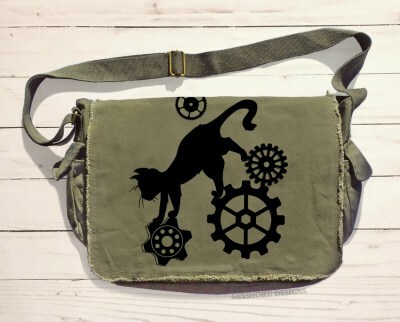 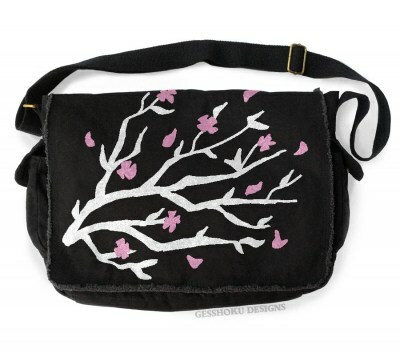 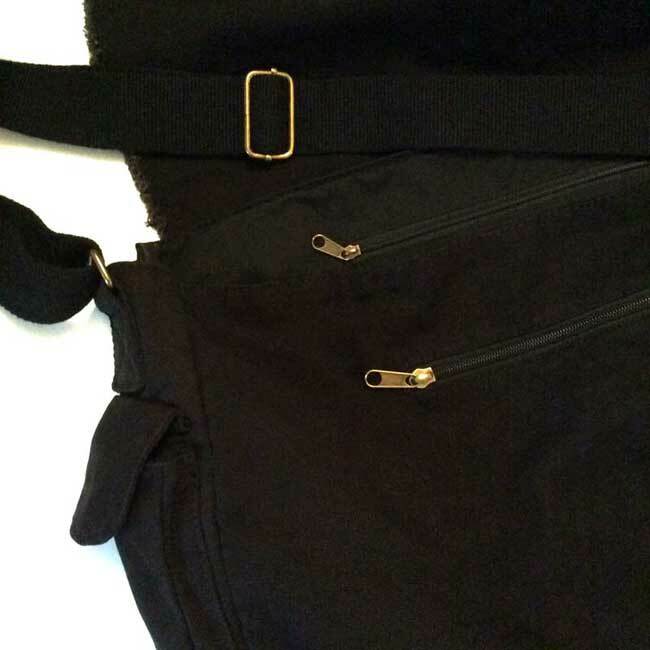 With a soft adjustable strap for crossbody carrying, and magnetic snap side pockets to keep your phone at hand, you should never leave home without it!